Playwright and author Lillian Hellman was the commencement speaker when I graduated from Mount Holyoke. Of course, my class originally wanted Katharine Hepburn. All the senior classes in my era wanted Katharine Hepburn. The characters she portrayed onscreen epitomized what we wanted to be—smart, sleek, and strong minded; sophisticated yet caring. Hepburn never accepted the annual invitations that winged their way to her from South Hadley, Massachusetts. Senior classes always had a backup. Hellman was ours. I didn’t know a lot about Lillian Hellman at the time. I had read a play or two of hers (probably at least The Children’s Hour), and I had seen the movie Watch on the Rhine. I knew that she had been blacklisted by the film industry after refusing to name names in testimony before the House Committee on Un-American Activities. Of course, I had also seen Carol Burnett’s infamous spoof of Hellman’s 1939 play The Little Foxes, which is now better known than the Broadway version with Tallulah Bankhead or the Hollywood film with Bette Davis. I was intrigued by the idea of Hellman as a commencement speaker. As it is, I’ll have to rely on memory—which, as Hellman’s career illustrates, is not always the most accurate recorder of information. 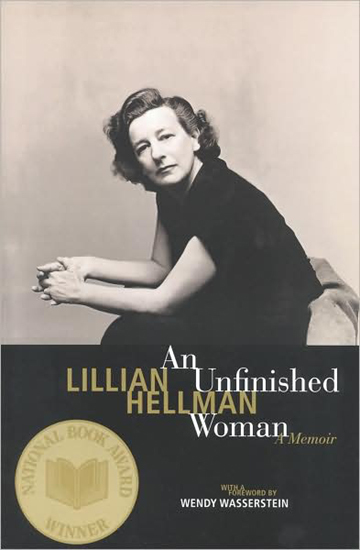 Here’s what my 20-year-old brain retained: Lillian Hellman was just plain mean. There we seniors stood in our white dresses and black robes, saying goodbye to our friends and feeling a little nervous about going out into a world in which employment and security were uncertain. I remember her castigating our generation for moral and intellectual laziness. I was shocked and resentful. I wouldn’t have minded her trying to inspire this group of young women to be smarter and more socially committed. Yelling at us because she didn’t think we (whom she didn’t know) had much resolve, however, just didn’t cut it as far as I was concerned. For years now the only thing about Lillian Hellman I’ve liked has been her pot roast. 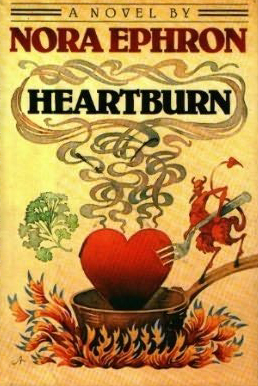 I found the pot roast recipe in Heartburn, the delightful 1983 novel by Nora Ephron that fictionalizes the breakup of Ephron’s marriage with journalist Carl Bernstein. I think of Ephron as the female equivalent of Woody Allen (only deeper). The fact that this novelist, director, and screenwriter also wrote about food makes her even more of a kindred spirit to me. I made Nora’s version of Lillian’s pot roast last week and decided to revisit Lillian Hellman’s life and work a little before posting the recipe. Today I won’t say I like Lillian Hellman, but I’m beginning to understand her. I read her memoir An Unfinished Life in the hope that I’d find a more lovable (or at least more charming) side to her. Her longtime intimate friend Dashiell Hammett said that he based the character of Nora Charles in The Thin Man on Hellman, or so Hellman claimed. 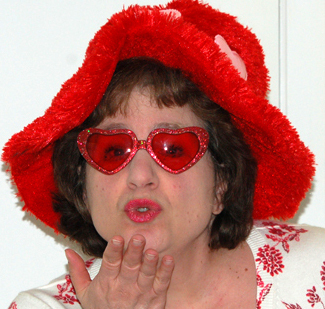 It’s hard to reconcile the serious, self-centered writer of the memoir with the witty, glamorous, fun-loving Nora. I also reread Pentimento, Hellman’s 1973 collection of essays that looked back on her impressions of people she had known in her youth. I first read the essays in a graduate seminar taught by Bill Stott, a skillful writer who wanted to help his students hone their own writing technique. The title refers to an art-history term. “Pentimento” describes the way in which after many years oil paintings become transparent enough to reveal the painter’s first impulses (the ones that were painted over). I could have warned McCarthy that Hellman was not a nice woman. She promptly sued McCarthy for defamation of character. The lawsuit wasn’t abandoned until Hellman died in 1984. In the course of preparing her defense McCarthy uncovered a number of exaggerations and (yes) even lies in Hellman’s work. Most controversially, McCarthy and others argued that the story “Julia” in Pentimento (which became a successful motion picture starring Jane Fonda and Vanessa Redgrave) was untrue. They argued that Hellman had never known the woman on whom the story was based but had appropriated the woman’s tale and woven herself into the narrative. Ironically, it is Hellman’s dicey relationship with the truth in her nonfiction that has finally enabled me to identify with her. As a nonfiction writer myself I’m occasionally perplexed by the nature of truth. In journalism school I was taught that one should be as accurate as possible, that although The Truth is an impossible standard to obtain it is something one should strive for. No writer worthy of serious consideration is ever honest except in those rare moments—for which we keep writing—when we become, bless us, not dishonest for an instant. So of course Lillian Hellman is dishonest. So is Mary McCarthy, Norman Mailer, Saul Bellow, John Updike, John Cheever, Cynthia Ozick—name 500 of us, Willa Cather, Edith Wharton, Henry James—we are all dishonest, we exaggerate, we distort, we use our tricks, we invent. I don’t entirely I agree with Mailer. I’m certainly not dishonest all or even most of the time. The way I present myself and my own memories on this blog is sometimes not strictly accurate, however. Here’s how I like to present myself: I’m smart. I’m funny. I’m a good cook and a better singer. I live in a wonderful community surrounded by supportive friends and relatives whom I in turn support. I’m cute. I’m intuitive. I’m eternally youthful. Of course, I am each of these things from time to time—but not often all at the same time. I share few of the recipes that fizzle, the photos in which I look really old and fat, the moments in which my family drives me crazy or I sing off key. Nevertheless, I like to think that my occasionally exaggerated presentation of myself, of my own history, and of my recipes sometimes leads to greater truths than the sheer facts might convey. I can begin, therefore, to understand Hellman’s conviction that her own memories were real and truthful even when they were contradicted by history books and other people’s memories. Although I still love Katharine Hepburn films, as I have matured I have begun to appreciate the archetypes embodied by other actresses of her era as well. I enjoy Joan Crawford’s ambitious working-glass heroines and Bette Davis’s often mean but always well motivated characters. I suspect Hellman was more like Bette Davis than Nora Charles–a less fun but a more interesting persona. And of course it would be hard to continue resenting anyone who invented this great pot roast, which serves a crowd and makes copious leftovers. Here, with apologies for my long windedness in today’s post, is the recipe. It is yet another tribute to the vagaries of memory and the intricacies of cooking that when I went back to the book Heartburn to look at the recipe I found that I haven’t made Lillian Hellman’s pot roast the way Nora Ephron describes it in years, if I ever did. I’m going to give you Ephron’s basic recipe with my amendments. Neither her version nor mine is complicated, I promise. And they’re both tasty. I tend to put them in a large Dutch oven on the stove top, add the tomatoes and chipotle plus a little more wine and water so that the pot roast is almost covered, and simmer them all day over low heat. I ALMOST cover the pot. In the last couple of hours I add the carrots and potatoes. I add half of the parsley before the last half hour of cooking and use the rest as a garnish. Serves 8. This is even better made one day and reheated the next. This entry was posted on Sunday, January 17th, 2010 at 4:00 am	and is filed under Comfort Food, Historical Figures and Events, Meat and Poultry. You can follow any responses to this entry through the RSS 2.0 feed. You can leave a response, or trackback from your own site. I’ve been reading your blog & enjoying making & then eating some of your recipes, but I’m much more interested in finding things to read than finding things to cook, so I LOVED your rambling today! Our greetings to the hills. Yer best one yet, Ms. SmartFunnyCuteIntuitiveYouthful Blog-Baby. I loved it. Thanks. So much more fun than Meet the Press. I want today to say how I loved the Hellman-bashing blog (and how I love the bread pudding recipe in Heartburn–I think it’s one folks would like). I am going to try the pot roast pretty soon I think I send best wishes to you and your mother and how long away can sugaring be…..
college student and never forgot, especially the idea of looking again, painting over. 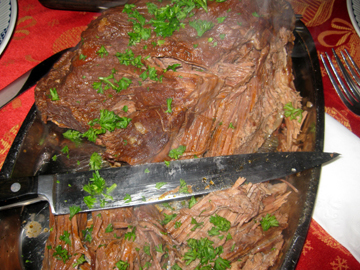 Not to mention that almost every Sunday of my young life we had pot roast for dinner. Cooking is good, but this is better! Loved the piece on Lillian Hellman (and Nora Ephron, who is wonderful!) Wish we could find you a venue for your literary talents in addition to your cooking skills. Think you should be writing a book somewhere along the way. . . Bill Stott would approve. . . Thanks, all! This was a fun one to write. I know lots of readers really only want the recipes so I love having some of you who enjoy the essays as well………. Many don’t know that Norman Mailer and Lillian Hellman were quite good friends and often enjoyed good meals together. I know this first hand because I was Norman’s editorial assistant and I also cooked and shared many meals with him–including MY pot roast, which was nothing like Hellman’s. In my new book, Mornings with Mailer, I detail many of our conversations about writers and food and the complexities of creating art–both on the page and in the kitchen. Mailer loved eating and loved having an assistant around like me who not only assisted him on his final manuscripts but several times a week made him a good lunch and dinner. Like Ephron’s Hearburn, Mornings with Mailer is about relationships–between people and between the work and the dinner. I think anyone who loves to eat and also loves to read will enjoy it. Cheers! I look forward to reading your book, Dwayne (and of course to learning more about your approach to food). Maybe you can do a guest post in February?